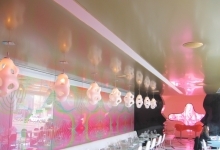 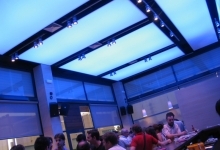 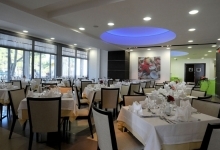 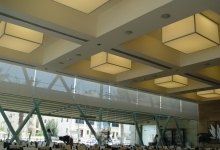 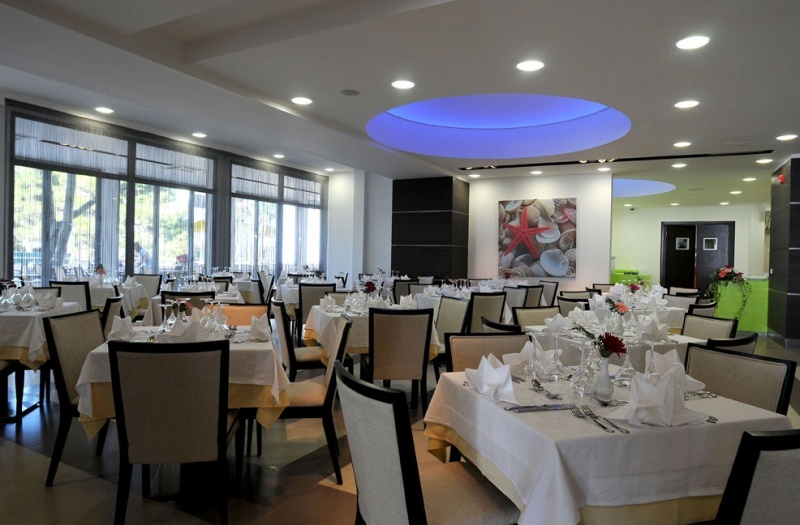 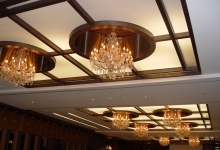 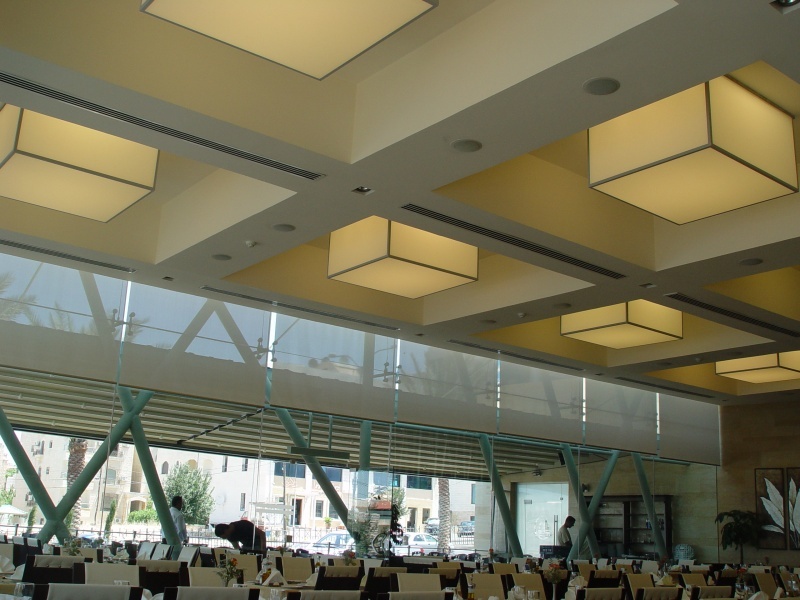 Restaurant Ceilings require enhanced acoustical properties, a beautiful and clean design, and occasionally they need to become a light panel or a decorative suspended cloud. 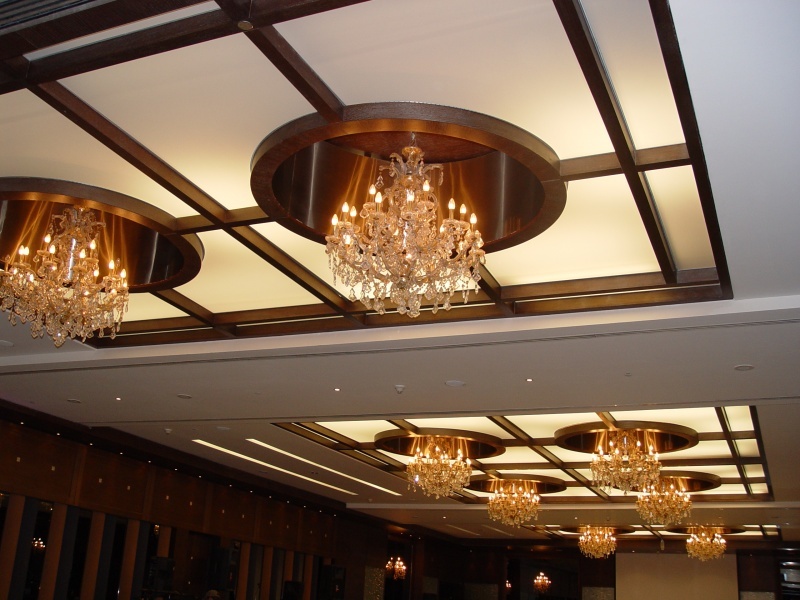 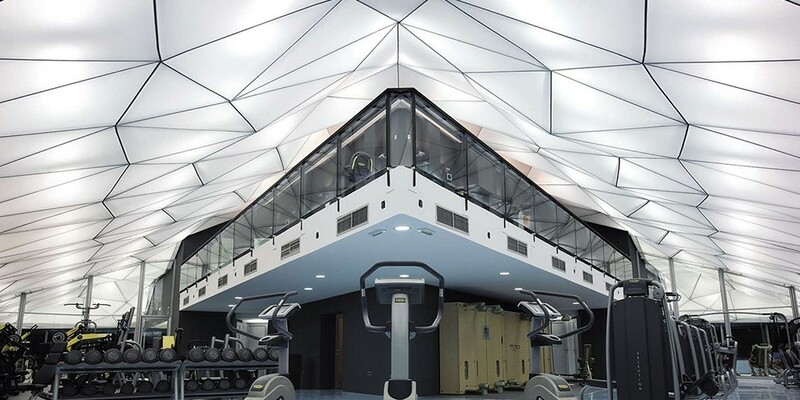 All of this can be easily achieved with stretch ceilings. 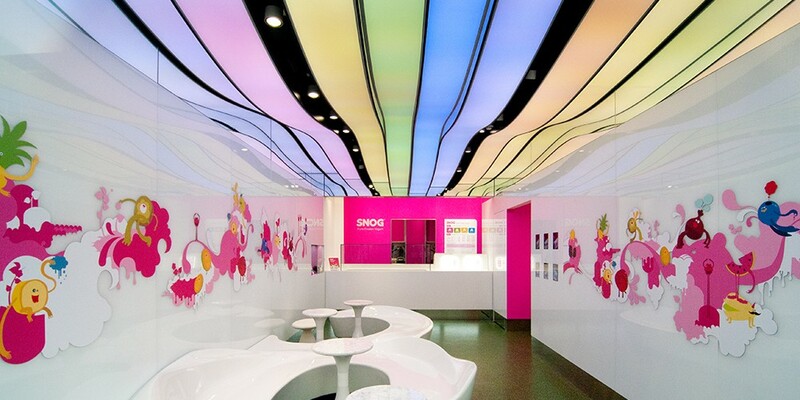 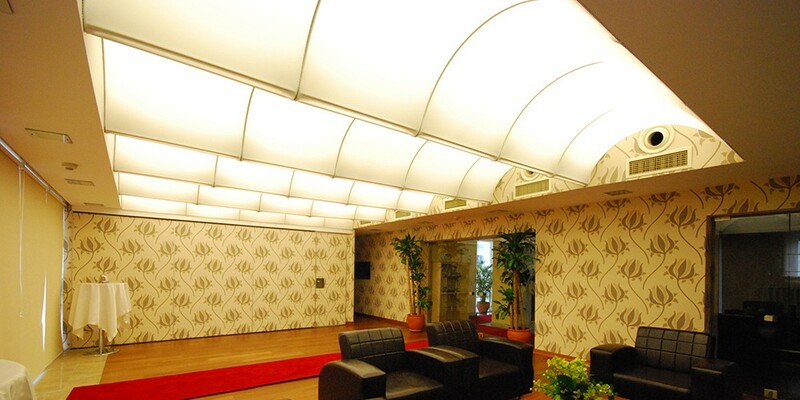 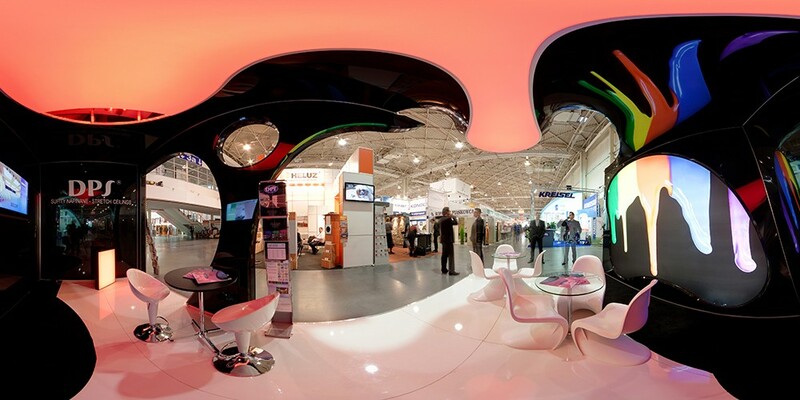 We use 150 colors, 6 finishes and complete flexibility of stretch ceilings to adapt to any needed shape and size. 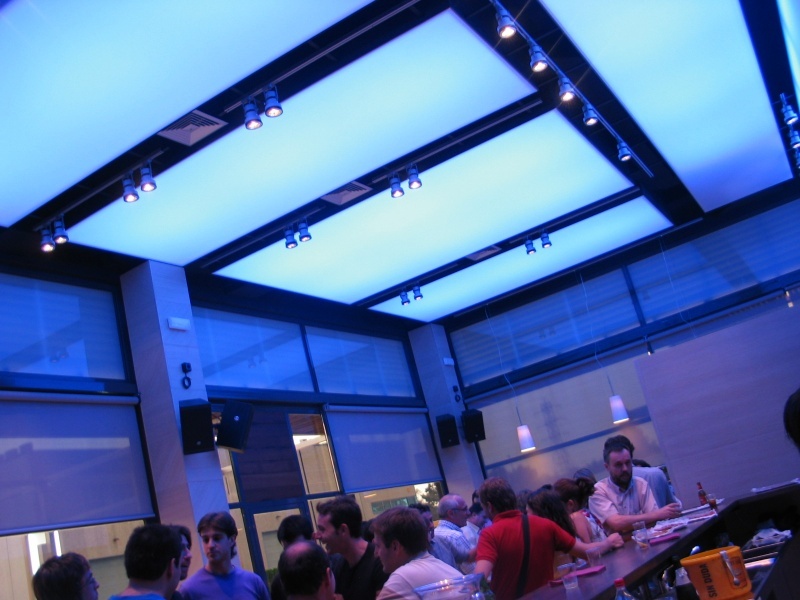 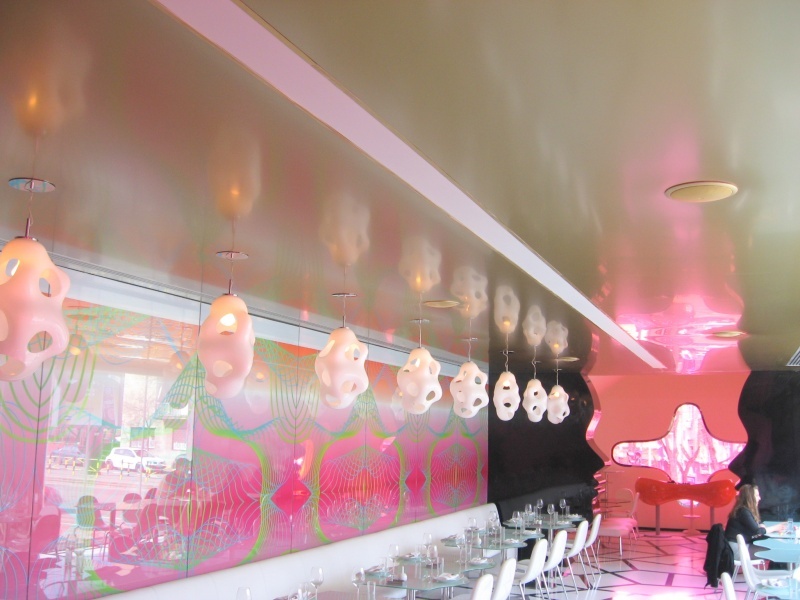 The most popular ceilings are translucent ceilings which deliver a gentle luminous glow, or high gloss ceilings which reflect bottles, counters and people adding to the amazing atmosphere without all the special effects. 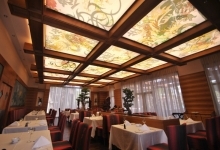 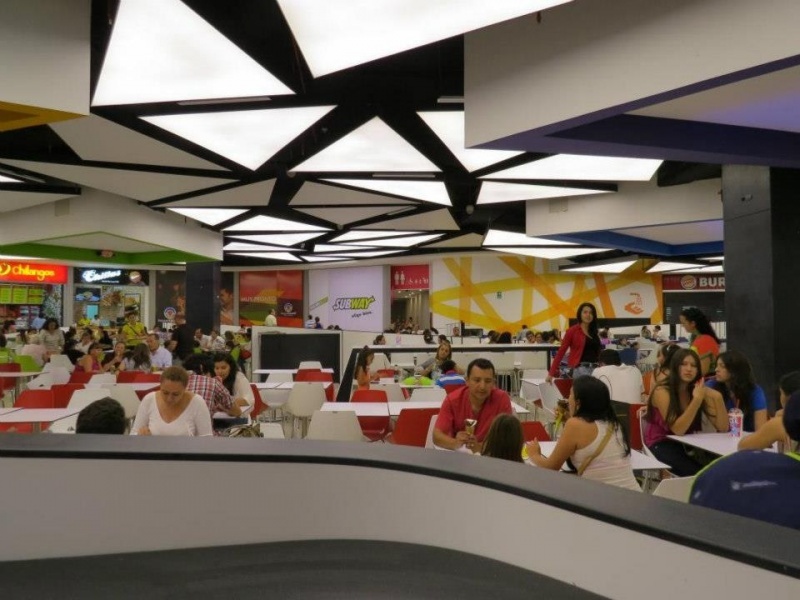 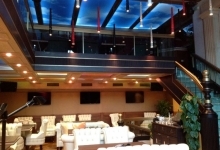 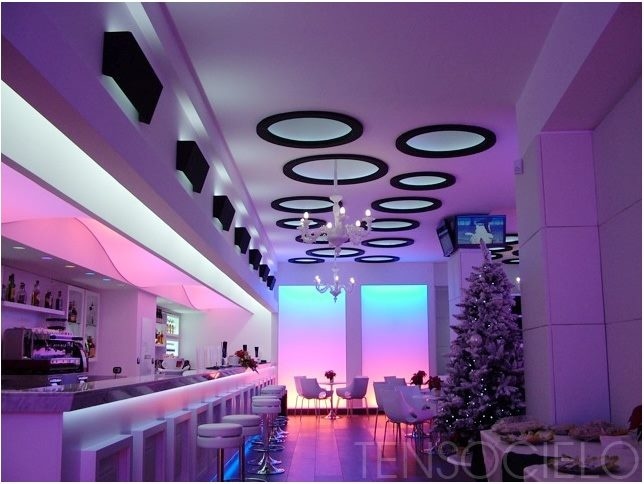 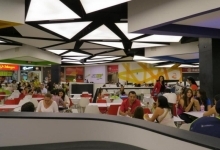 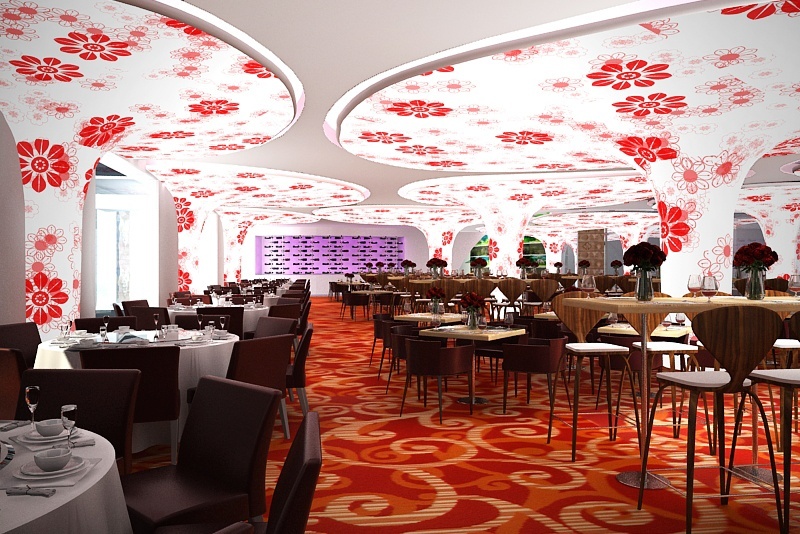 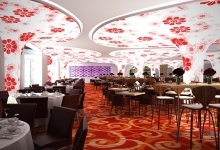 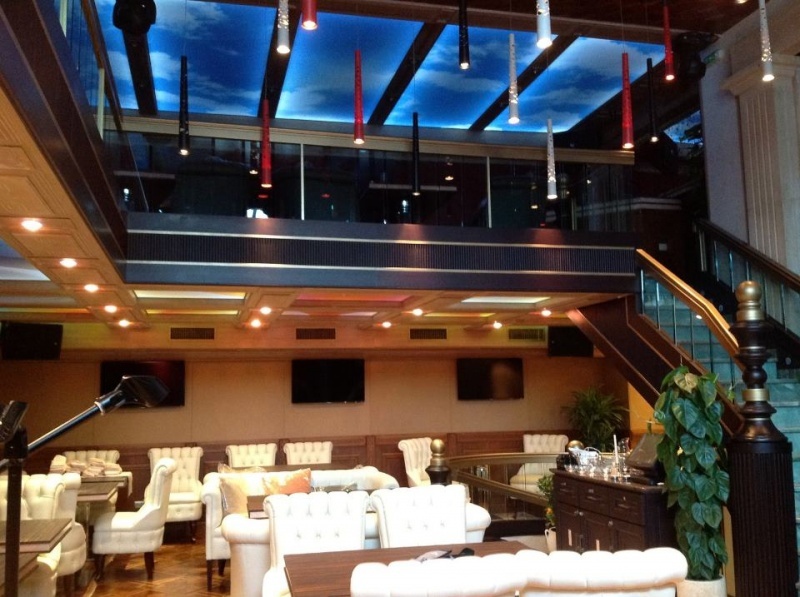 If you are working on a restaurant ceiling design where you’d like to create an amazing effect, backlit luminous ceiling or integrate maintenance free acoustical ceilings, contact us and we will help you with the design, quotation and installation.